Preschool and Kindergarten students love to make music! Studies show that music is beneficial to children’s development, and exploring music thru singing and movement is an exciting and fun way to learn! The Preschool and Kindergarten offerings are designed to introduce music, not only in a way that is beneficial to a child’s development, but also to be an investment and firm foundation towards future instrument-focused music study. Because I feel it is so important to expose children to our nation’s folk music, curriculum for the Preschool and Kindergarten classes use repertoire of traditional and folk literature. This curriculum is based on extensive survey and research related to the development of singing and movement skills in young children, as well as developing those important neurological connections that are enhanced by music study. As classes are in my home, space limitations are such that there is only room for students to attend (no caregivers, friends, or siblings, please.) Instead, enjoy using this time to run a quick errand, or visit the library or park down the street! In this small group class, students will receive an introduction to musical instrument families, begin developing the ability to match pitch and song fragments, improve listening and concentration, enhance gross motor skills while learning to beat and feel short rhythmic phrases, and learn differences in voice and body control. No keyboard instruction is included. This is designed for children who are one year before Kindergarten. Class minimums/maximums apply. This class is also available as a 30 minute private lesson. motions thru songs and rhymes, and be introduced to symbols, terminology, and fundamentals of music theory. Folk songs and song tales will be incorporated to keep this class fun and exciting as children learn to sing and move to a variety of rhymes and songs. 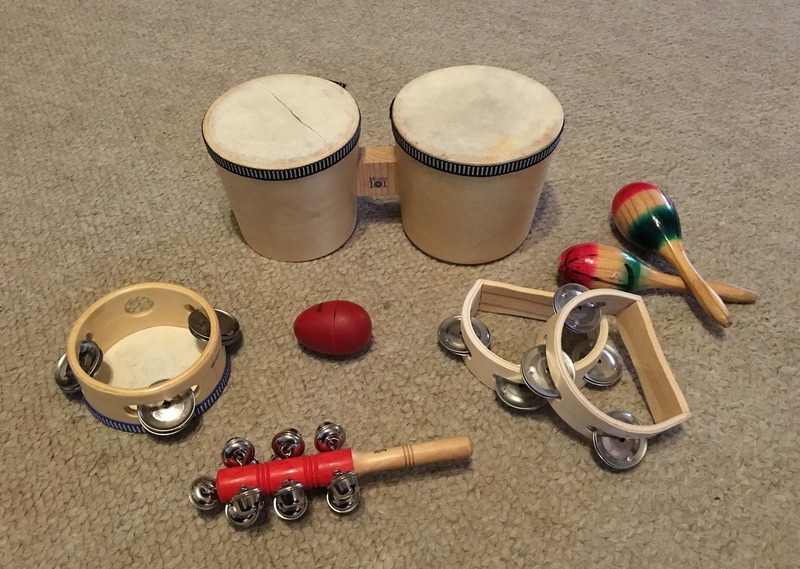 Rhythm instruments will be used to support basic music concepts. No keyboard instruction is included. This is designed for children who are in Kindergarten. Class minimums/maximums apply. 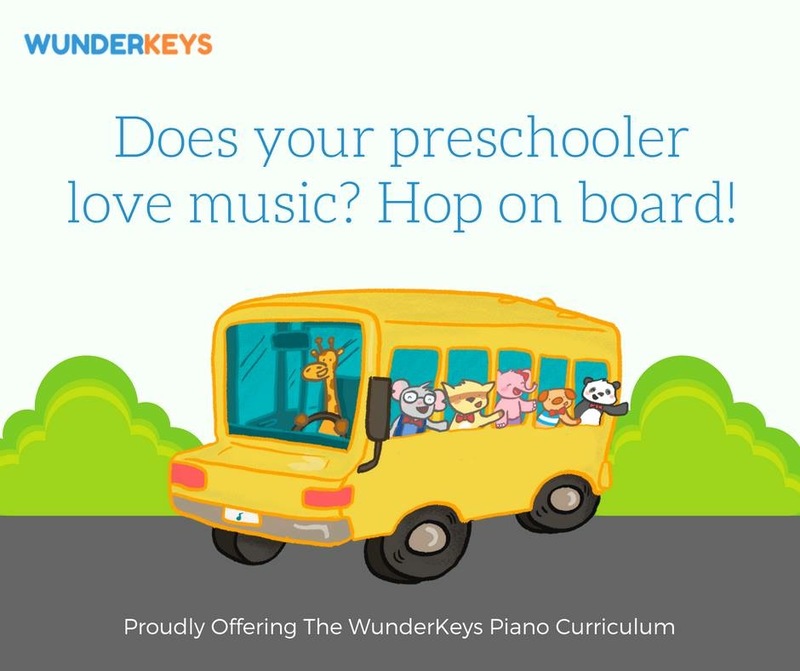 Beginner Piano is offered for Kindergarten students as either a group lesson or as a private lesson. Incorporating fun activities both on and off the bench, this comprehensive music class introduces students to the piano as they learn proper technique, music theory and ear training skills, as well as begin to read music. A piano at home is necessary for practice between classes. Contact Lisa Emmick for information about current availability and offerings.